The driving force behind the Clinic's impact. 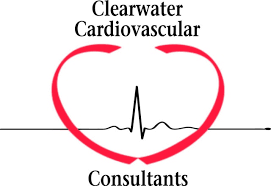 Community Partnerships have been the key to Clearwater Free Clinic’s success in providing comprehensive medical services and the continuous evolution of Clinic programs. These collaborations with health care partners and community groups are mutually beneficial and come in all shapes and sizes, from hospitals, labs and medical practices to businesses, foundations and civic organizations. Through these collaborations a low-income uninsured Clearwater Free Clinic patient has access to numerous medical services on the Clinic campus and from outside providers. A typical CFC patient receives an exam and when specified by the CFC volunteer physician, receives requisitions for other donated services. Our hospital community partners provide free lab services, basic & specialized radiology exams along with other hospital-based diagnostic procedures, such as endoscopies and sleep studies. A number of medical practices donate specialized care in such areas as cardiology, urology, radiology and pathology. In turn, the CFC has partnered with local hospitals providing critical follow-up care to discharged uninsured patients, in order to prevent unnecessary re-admissions. In addition, we are actively working to broaden our reach by seeking those who need our services through relationships with other nonprofit organizations. No entity can singlehandedly meet the health needs of thousands of patients…the CFC and its many partners continue to impact the health and wellbeing of our community.